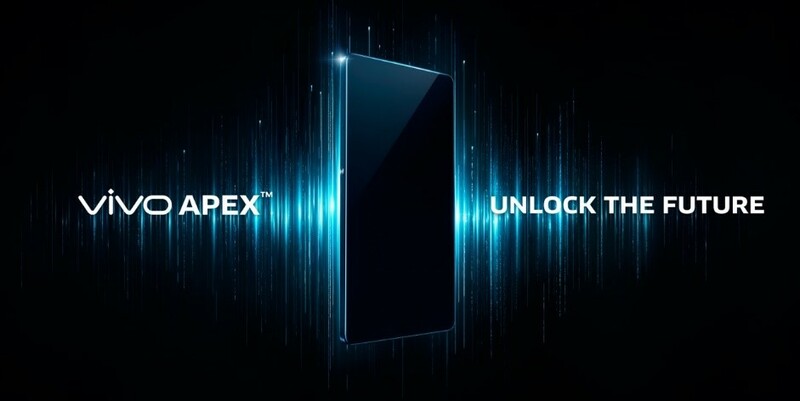 Vivo has revealed its new APEX FullView concept smartphone, featuring world’s first half-screen in-display fingerprint scanning technology and industry's highest screen-to-body ratio. The APEX boasts industry’s thinnest top and side bezels of 1.8mm, with a 4.3mm bottom bezel. Also, its screen-to-body ratio will exceed 98 percent through the flexible OLED platform mounted directly to the circuit board. Having the half-screen in-display fingerprint scanning technology installed in the APEX, the device transforms its entire bottom half into a fingerprint sensor, too. Moreover, to further improve its mobile experience, Vivo has introduced new engineering breakthroughs in camera, speaker, and sensor elements. With this, the entire FullView Display doubles as a speaker, too, via Screen SoundCasting Technology. In addition, APEX sports 8-megapixel Elevating front camera, which rises in 0.8 seconds when it is required and retracts after use. This innovation eliminates the space occupied by conventional front cameras. The APEX has a new System in Package (SIP) technology, as well, which integrates the DAC and the three operational amplifiers together – giving more space in the device’s interior.